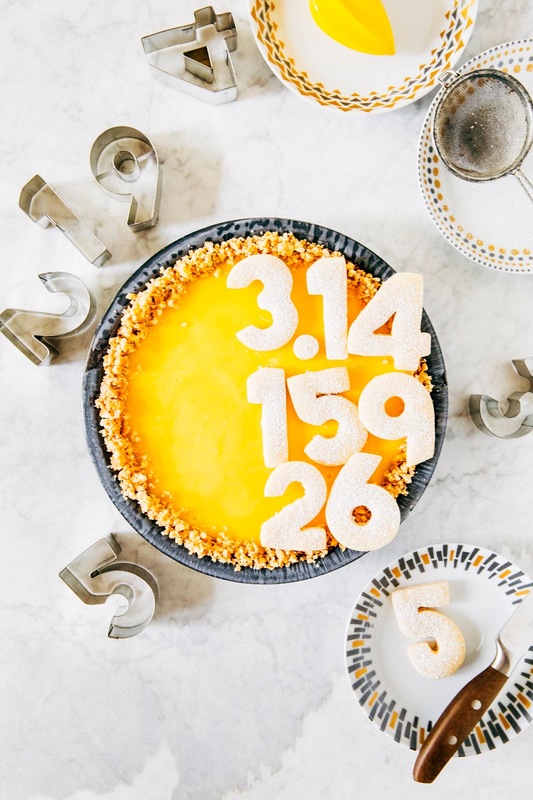 If you somehow missed it, it's Pi Day today because the date is March (3) Fourteenth (14), which coincides with the first three digits of the mathematical constant, pi (that is, if the date is written the American way, lol). 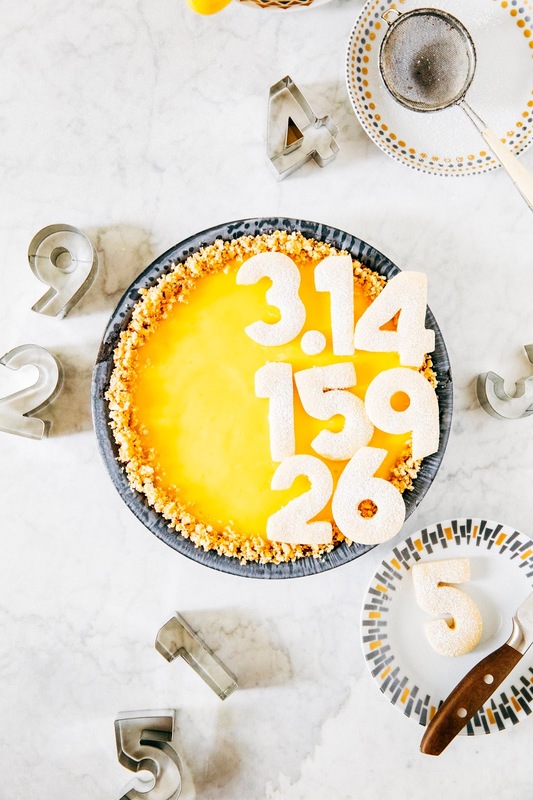 According to Wikipedia, Pi Day became an official holiday in the United States in 2009, when the House of Representatives passed a resolution to recognize it as such. 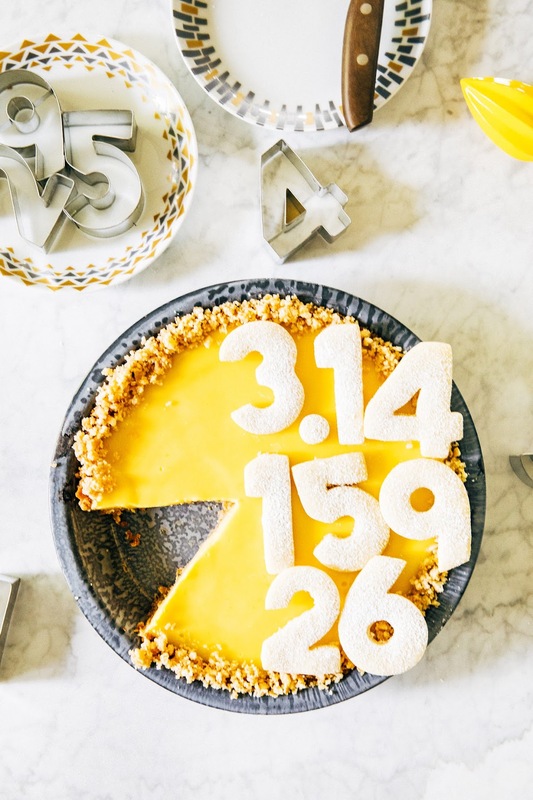 Real talk — and no cheating allowed — who here actually remembers what pi means?! Because I haven't taken a math class since my junior year of college, and I struggled to remember what it was (lol). But maybe that's just me. I have a bit of a love-hate relationship with math. I was pretty bad at it for most of school (though that might have been my undiagnosed ADD to blame), but then got really good at it when calculus and statistics came along. To the point where I briefly toyed with becoming a math major for a hot second (lolllllll), before I realized that my economics degree was troublesome enough. And just a few weeks ago, I had a painful realty check of my math skills after failing to convert 0.625 into a proper fraction (it's 5/8, by the way); I briefly thought I'd discovered a new theorem until somebody pointed out that I was just carrying bad math over. But hey! I'm all about the Instagram holidays, and Pi Day is as good an occasion as any. For this year's Pi Day, I originally had planned to make a traditional pastry pie with frozen strawberries in the style of Samantha's Pi Day pie. Although the pie crust turned out wonderfully, the strawberries got a little leaky as I wasn't used to working with frozen fruit and didn't realize how much liquid they would ooze. Bah. It wasn't the world's biggest deal since I wasn't too crazy about that pie flavor combo anyway. 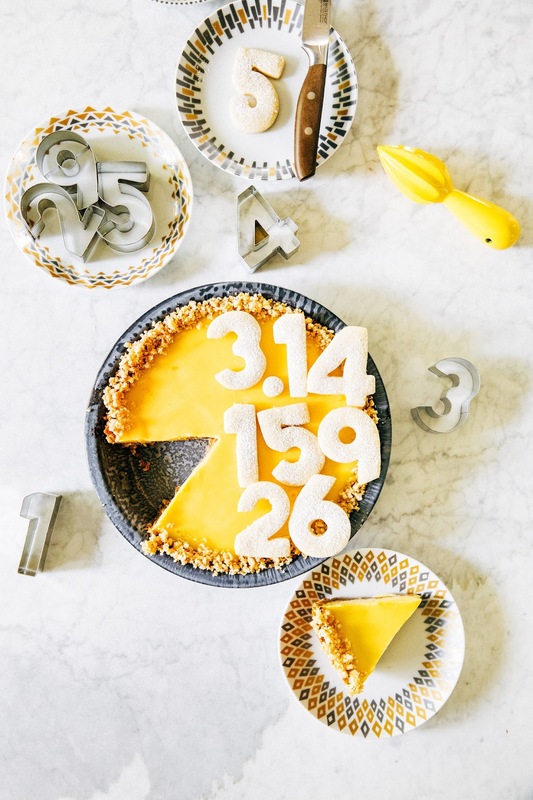 I'd recently finished developing a key lime pie recipe for my book and had spent the entire time wondering what the pie would taste like if lemons were used instead of limes (this is how a food blogger's mind works, I guess). So instead of crying over the original botched pie, I decided to finally figure out the answer to that question instead. And how was it? DELICIOUS. I also swapped out the traditional graham cracker crumbs with sugar cookie crumbs and topped them off with sugar cookies shaped like numbers. For the crust, you can use your favorite vanilla cookie! I used leftover sugar cookies from my Weeknight Baking book tests, but my friend Cindy recently recommended Trader Joe's Ultimate Vanilla Wafers. I also recommend Nilla Wafers or Golden Oreo cookie crumbs. Just be sure not to use shortbread because they have too much butter in them and the crust will slump in the oven. To save time, you can make the filling while the crust is still in the oven — it only takes about 10 minutes to make the filling! There's also no need to wait for the crust to cool before pouring the filling in; once you pull the crust out of the oven, immediately pour the filling over it, and stick the whole thing back in the oven. Easy peasy. 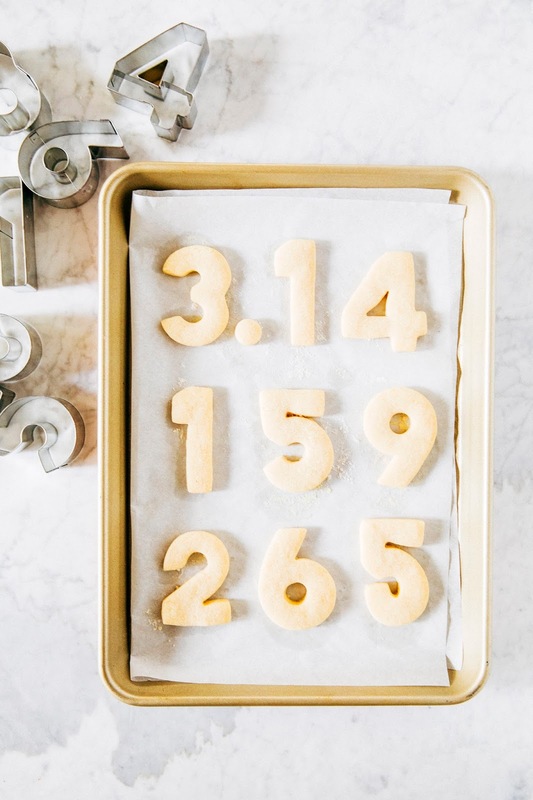 The number sugar cookies were made with my favorite rollout sugar cookie recipe from my friend Erin; the dough is a dream to work with, and they hold their shape really well in the oven. In a medium bowl, combine cookie crumbs, melted butter, and salt. Toss to combine until the mixture has the feel and texture of wet sand. 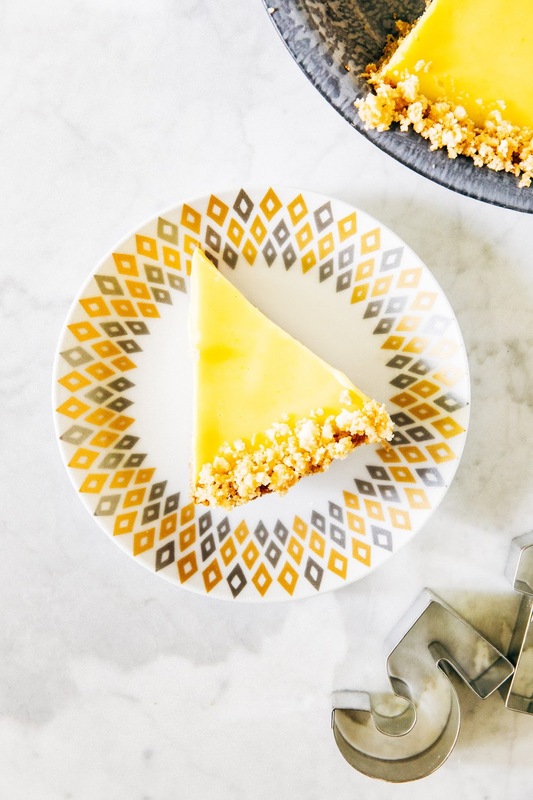 Transfer to the pie plate and use a tart tamper or your hands to press the crumbs together evenly across the surface of the pan. You want to apply a decent amount of pressure here so that the crust holds its shape after being pressed together; you can even use the bottom of a coffee mug or heavy glass to pound the crumbs in place. Transfer to the oven and bake. Bake for 10 minutes until the crust is set but not completely brown. Transfer to a wire rack to cool slightly while making the filling. If you find that the crust has slumped down the sides of the pan slightly, you can fix it immediately after pulling it out of the oven while the crust is still malleable. Use the back of a spoon to gently and quickly ease it back up the sides of the pan. In a medium glass bowl, combine sweetened condensed milk, egg yolks, lemon zest, and salt. Stir to combine with a rubber spatula. Add lemon juice and continue stirring until homogenous. Pour over the parbaked crust and use an offset spatula to smooth evenly across the crust. Transfer to the preheated oven and bake for 18 minutes, or until the edges of the pie are set but the center still wobbles slightly. Transfer to a wire rack to room temperature, before transferring to the refrigerator to chill for at least 4 hours, preferably overnight.